The March 5 installment of NCIS is a repeat of the episode “A Thousand Words,” but a new episode will be heading our way on March 12! “Bears and Cubs” is the title of the March 12 episode, and here is how CBS describes it. Tony Sr. is back! Jimmy is torn between family and work after his father-in-law, Ed (Larry Miller), asks him to tamper with evidence from NCIS’ current murder investigation. 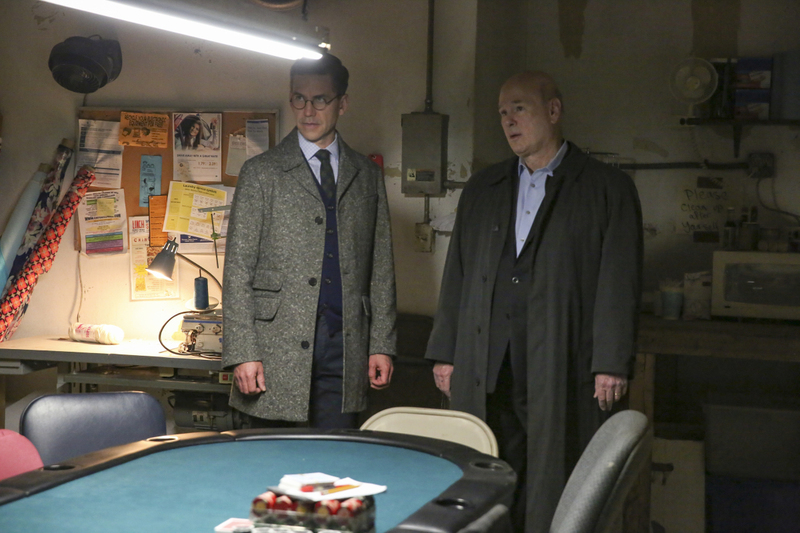 Also, Ed’s poker buddy, Anthony DiNozzo, Sr. (Robert Wagner), offers to help with the case, on NCIS Tuesday, March 12 (8:00-9:00 PM, ET/PT) on the CBS Television Network. You can see some photos below. Guest stars in “Bears and Cubs” include Robert Wagner (Anthony DiNozzo, Sr.), Larry Miller (Ed Slater), Francois Chau (Henry Deng), Ping Wu (Peter Liu), Stephen Caffrey (Kevin Braddish), Jacob Zachar (Stevie Slater), Connie Jackson (Elaine), E-Kan Soong (Kenneth Dent), Alexandra Bokyun Chun (Phyllis Wu), Cecile Cubilo (Cosette), Shea Vaughn-Gabor (Jen), and Jason Marrs (Joe).